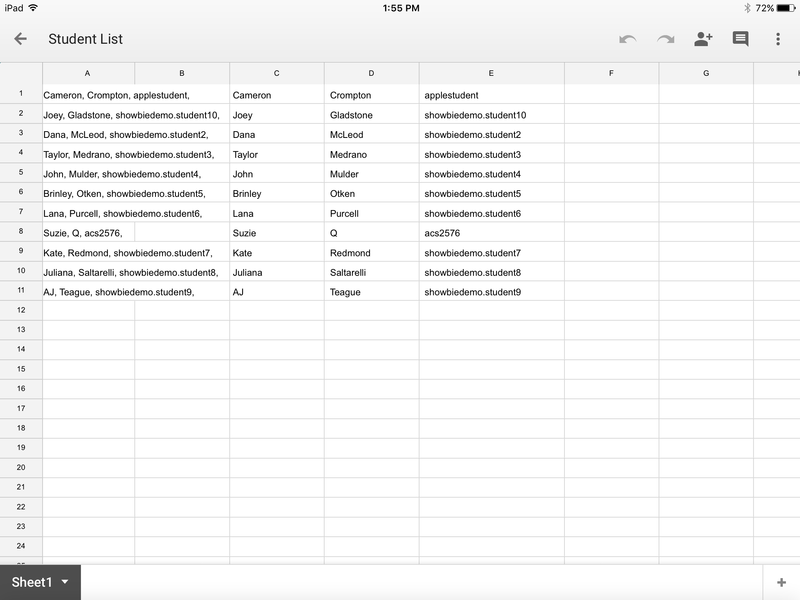 Generate a list of your students' usernames and emails per class. 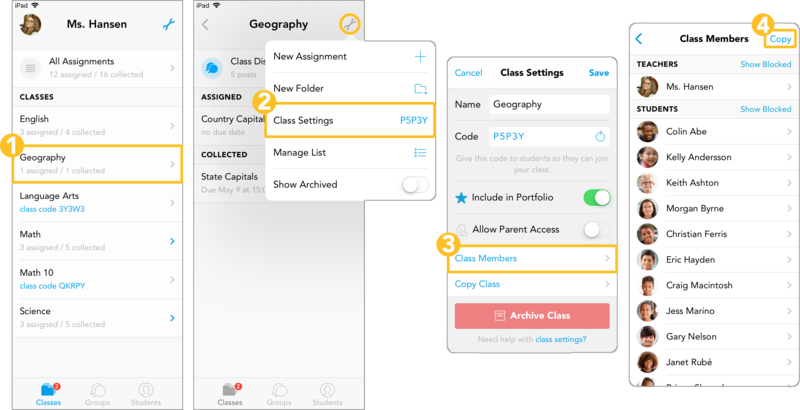 Showbie will allow teachers to export student names, usernames, and email addresses with just a tap on the iPad! The only thing that can’t be exported (or even seen) are student passwords for student privacy purposes.